With the proliferation of SPAM and other unwanted email, getting your message to the inbox and opened has become a significant challenge. Once you’ve done all you can to craft a relevant, effective message and compelling subject line, the decision to open rests entirely on your recipient. 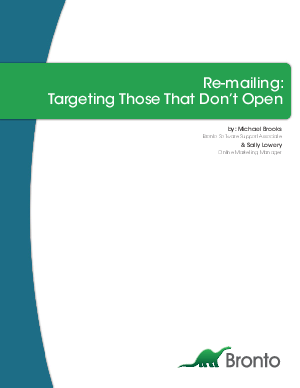 Re-mailing is an effective and efficient tactic, giving your message a second chance at the elusive “open” without additional investment.